Holiday shopping season is in full swing. 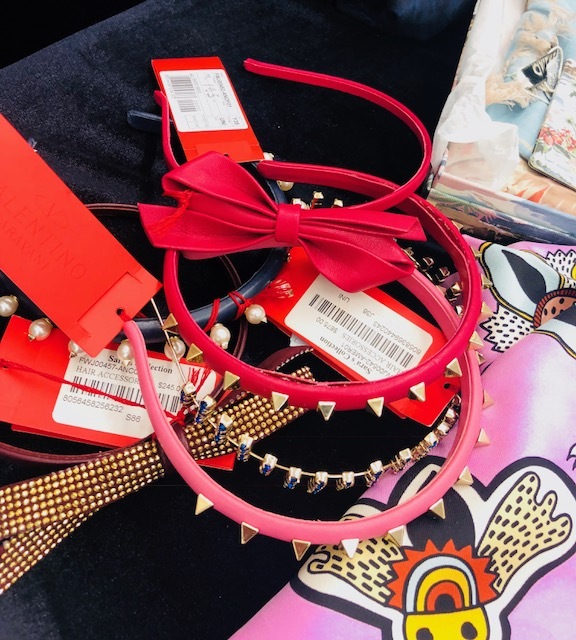 After sale shopping for yourself and buying gifts for your closest ones, there usually isn't that much of a budget left for everyone else on your list. 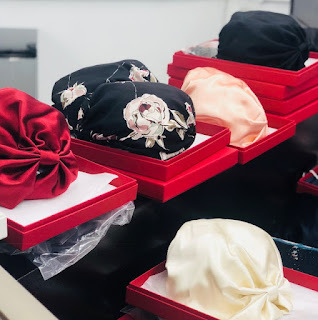 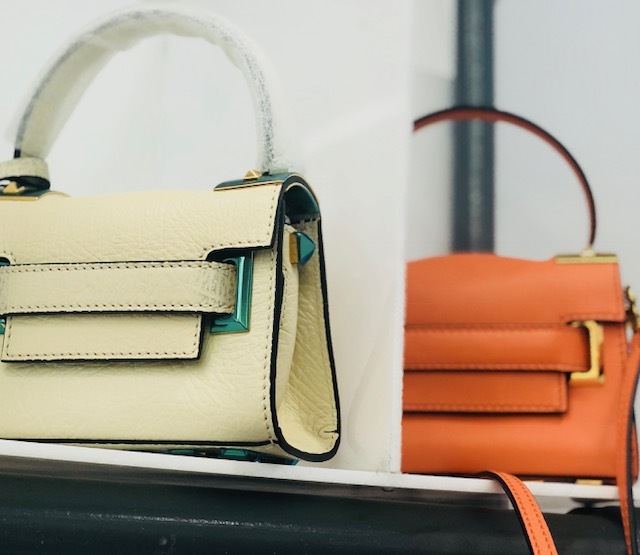 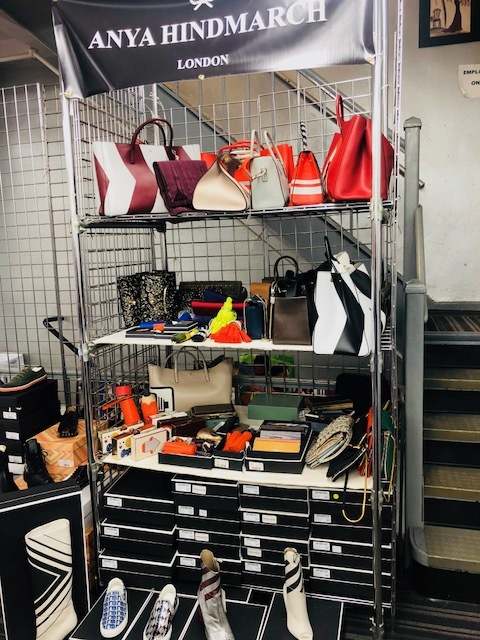 We are lucky that Global Fashions, the official luxury distributor for several Italian designer brands, will be opening its showroom to the public for a luxury holiday gift sale. 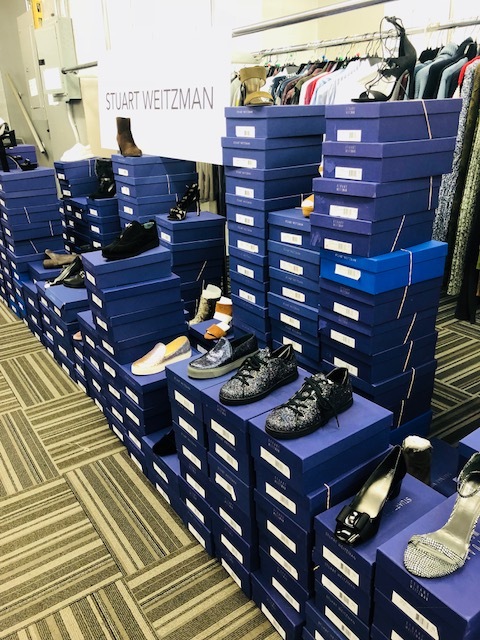 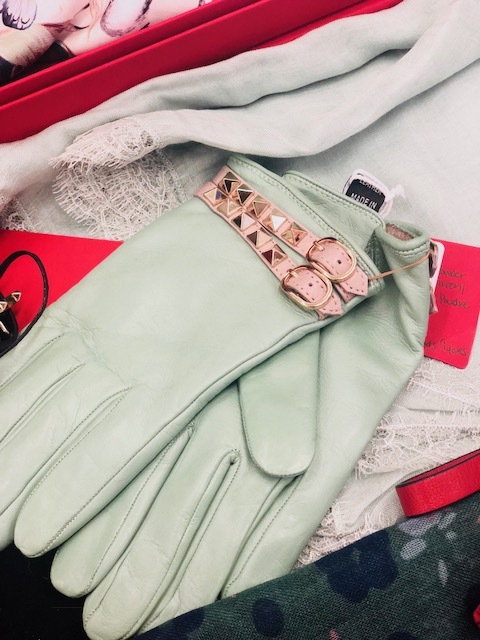 If you've been to a Global Fashions sale before you probably know the treasures that behold. 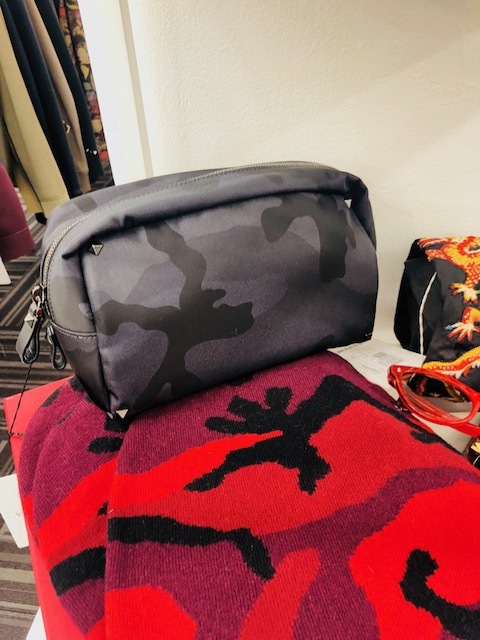 We got a sneak peek today. 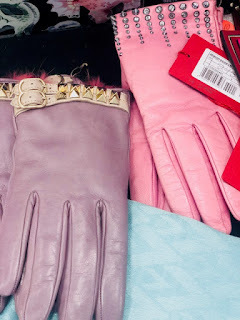 We found it seriously hard to buy gifts for other's because there were so many things we wanted for ourselves. You can see pictures we took over here. Discounts start at 70% off and couture clothing is reduced as much as 80%-- if you're so inclined. 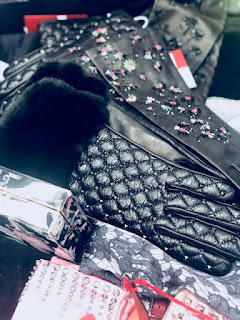 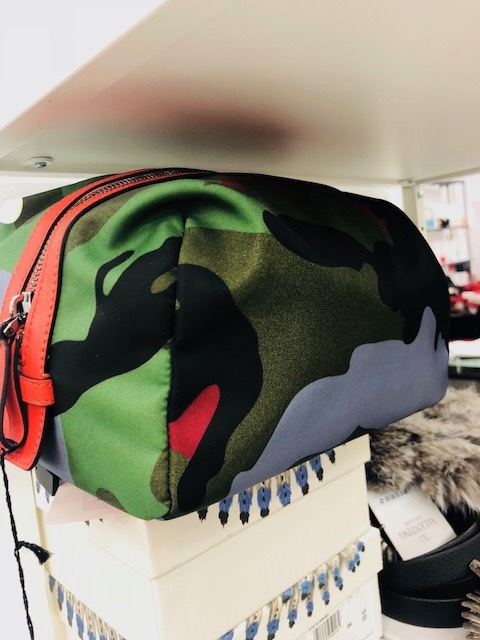 We found an extensive assortment of cold weather accessories, like hats, gloves and scarves, small leather goods, leather, and sparkly jewelry. There are also lots of perfectly priced small bags that will make a perfect gift-- especially at these prices. 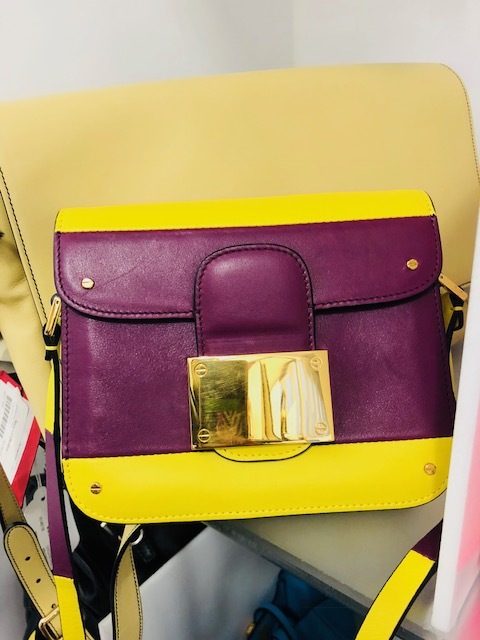 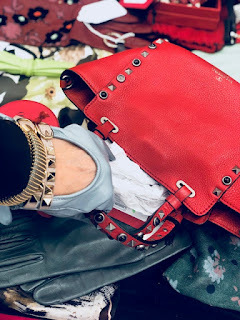 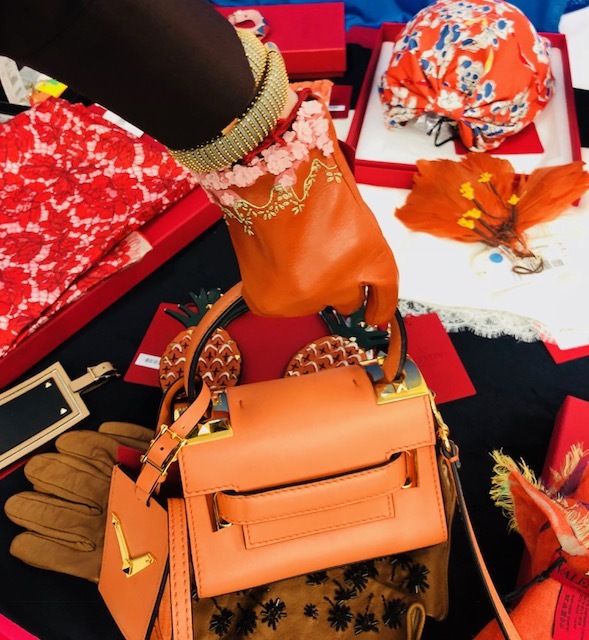 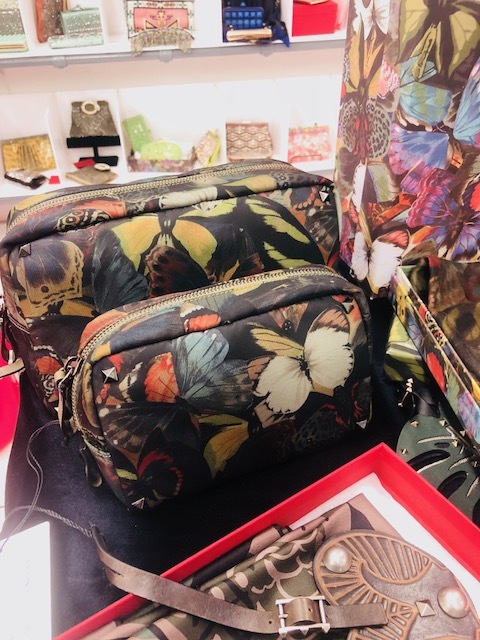 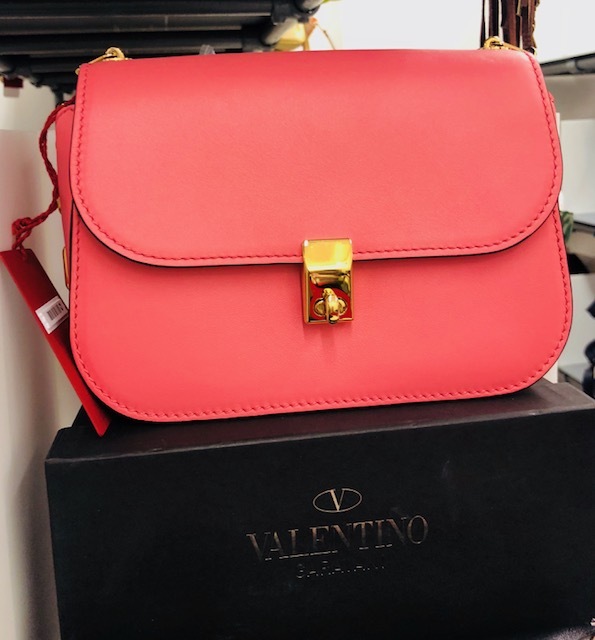 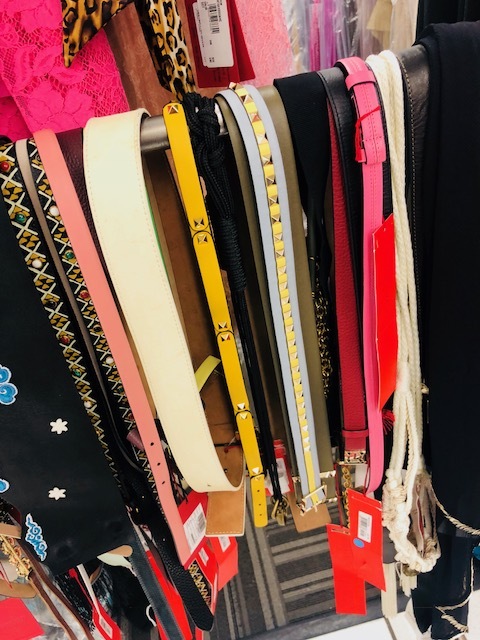 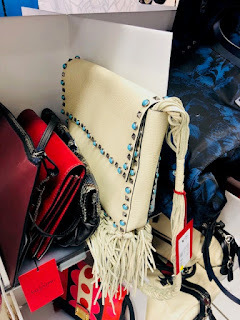 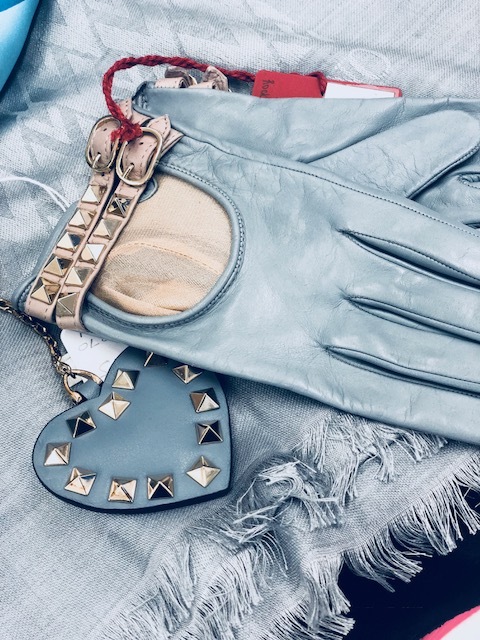 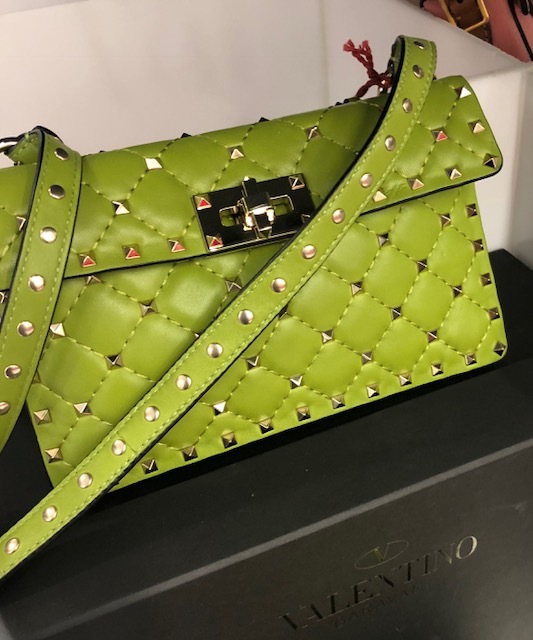 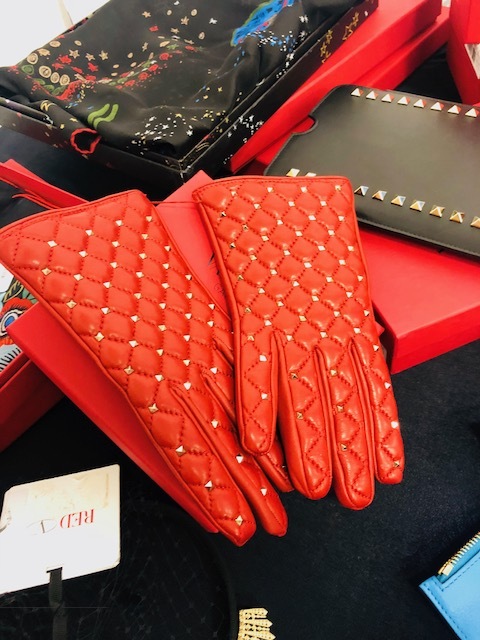 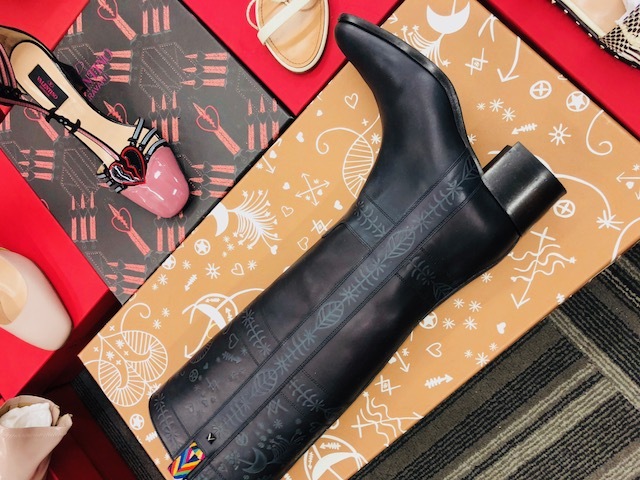 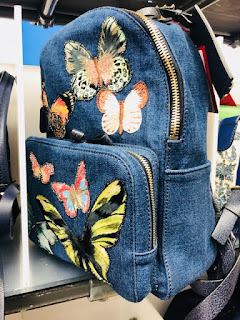 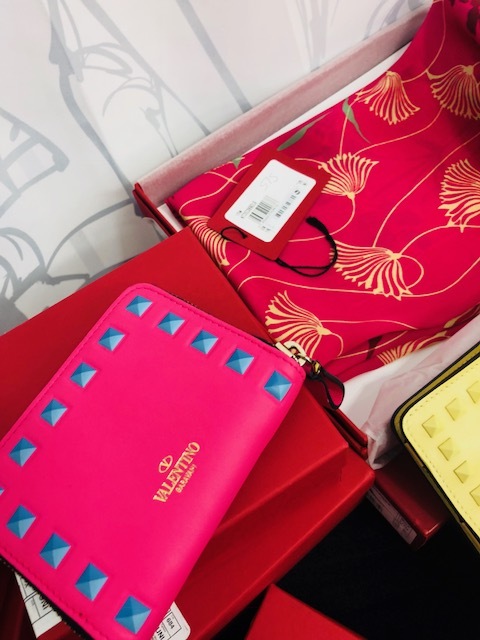 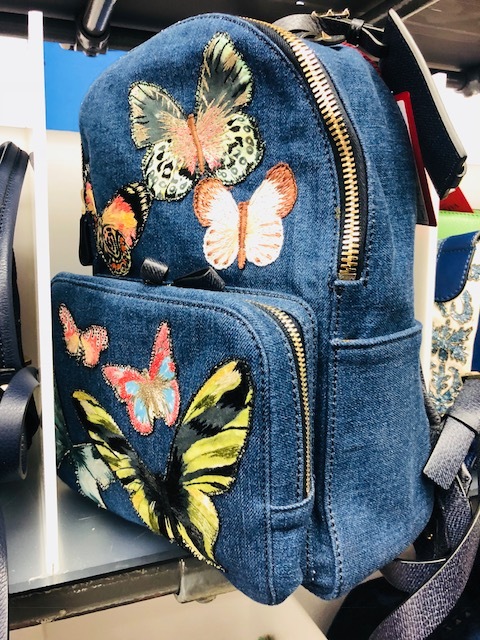 Many items we spotted were in the $150 range, like leather driving gloves with Rockstud edging around the wrist are $157 from $525, a bright pink folded wallet with turquoise studs is $133 from $445, a silk scarf with a floral motif is $172 from $557 and a leather bracelet with studs is about $80 from $276. Did we mention that everything comes with a box?!! If your budget is a little bigger we found plenty of bags priced below $900. 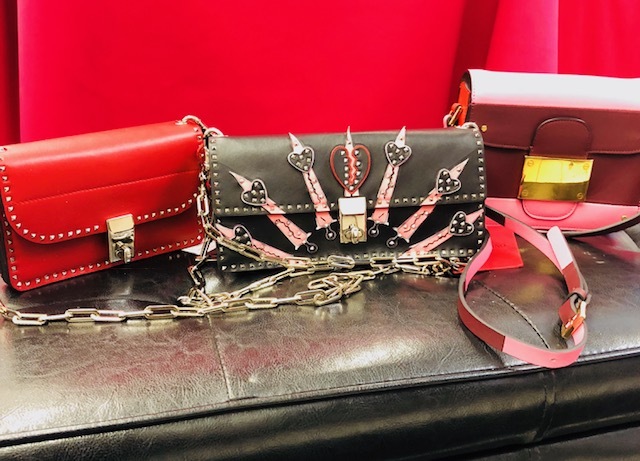 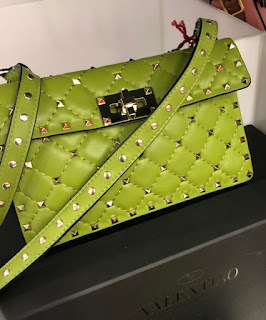 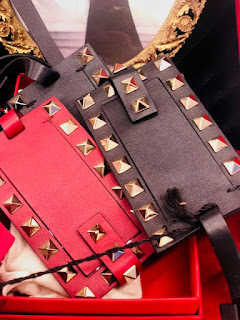 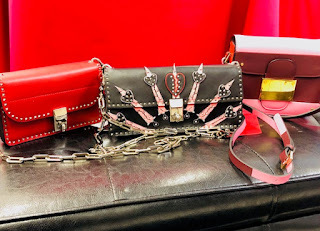 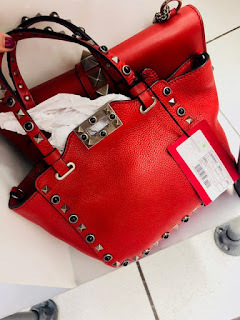 A mini Rockstud tote with silver hardware is $780 from $2600, a mini Glamlock is $690 from $2295, a larger small Rockstud Spike bag is also $690 from $2295. We have pictures over here in the jump. There is also an assortment of great gifts for guys including sneakers and small leather goods. 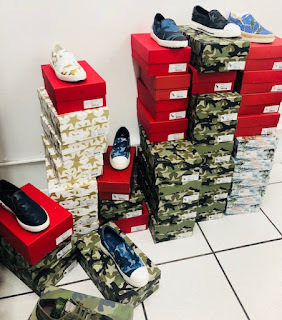 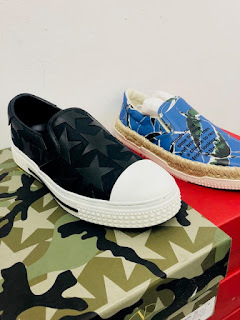 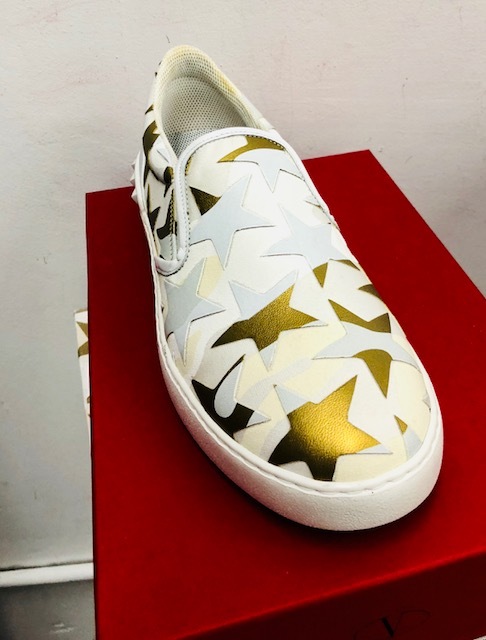 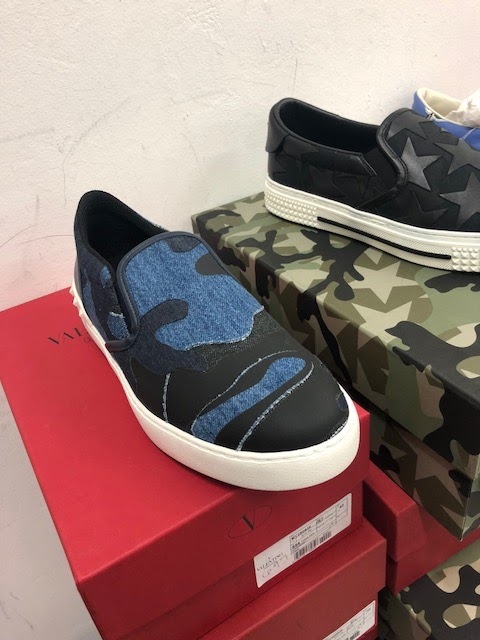 There are many styles of slip-on sneakers for $210 from $695, a black camo dopp kit is $153 from $538, and a studded belt is about $240 from nearly $800. There are also ski hats and scarves that are about $150 . Click for pics. 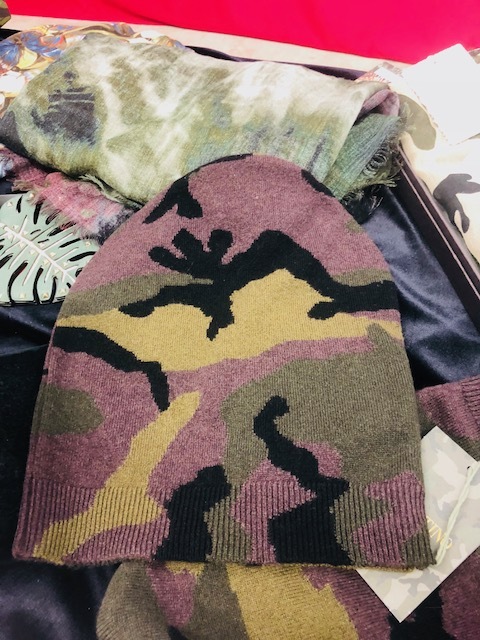 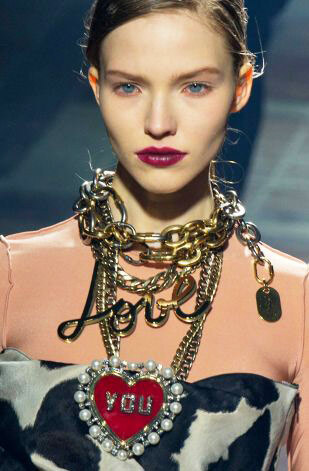 We expect that the less expensive gift items like scarves, headbands, turbans and little wallets will go very fast. 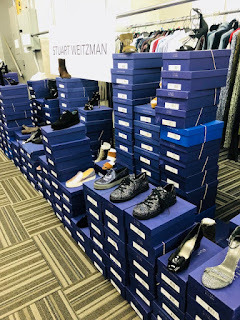 There is some inventory but it won't last very long-- especially when people are stocking up on gifts We suggest you hit this sale first thing if you really need to cross out your to-do list. 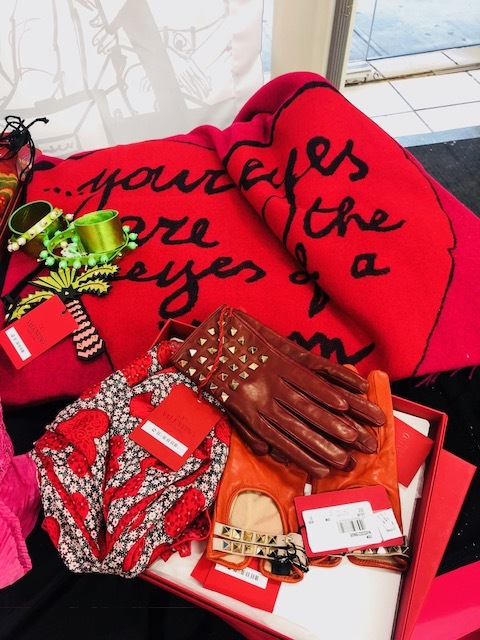 Don't say we didn't warn you.